I became inspired to use tiling and tessellations in the classroom when I was using Harold Jacobs book, Mathematics: A Human Endeavor. Like every chapter in the book, he does a great job of inspiring curiosity. Tiling the plane has fascinated people since antiquity. Unlike puzzles where no two pieces are alike, tessellations use a small number of tile types that are repeated. Some can be assembled in a pattern that repeats. Others, such as Penrose tiles, form patterns that in a sense never repeat, despite using as few as two different tiles. 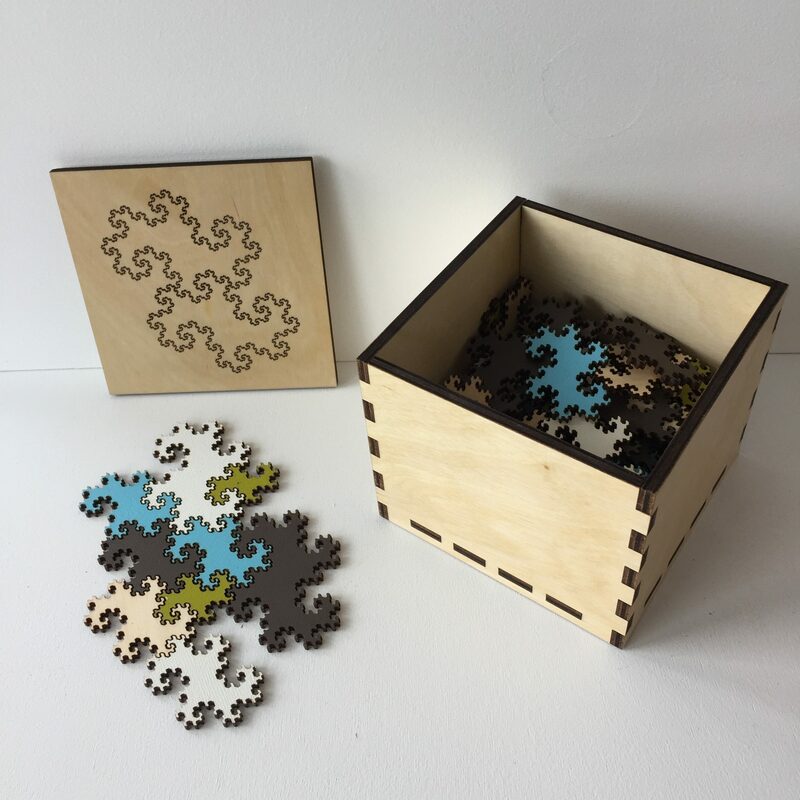 I started making sets of tiles that the students used to explore geometric ideas, and those grew into the puzzles we offer.